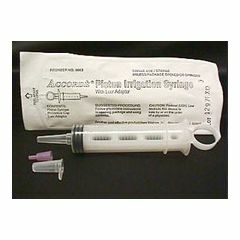 These Welcon Irrigation Syringes(Sterile)include a Tip Protector and Tyvek Peel Pouch. Good for a wide variety of applications. Makes irrigation tasks easier. does not have rubber seal. Lightweight. Sturdy. Safe. These are the greatest! . So easy to use.